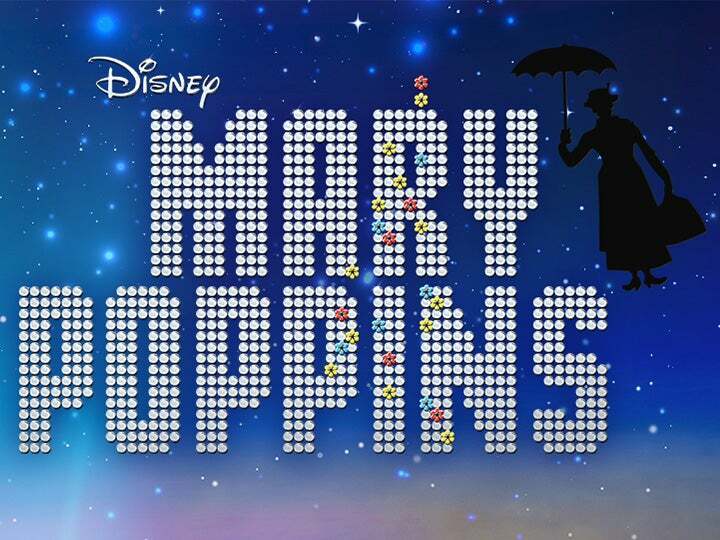 Includes Mary Poppins in Concert with the NJSO! 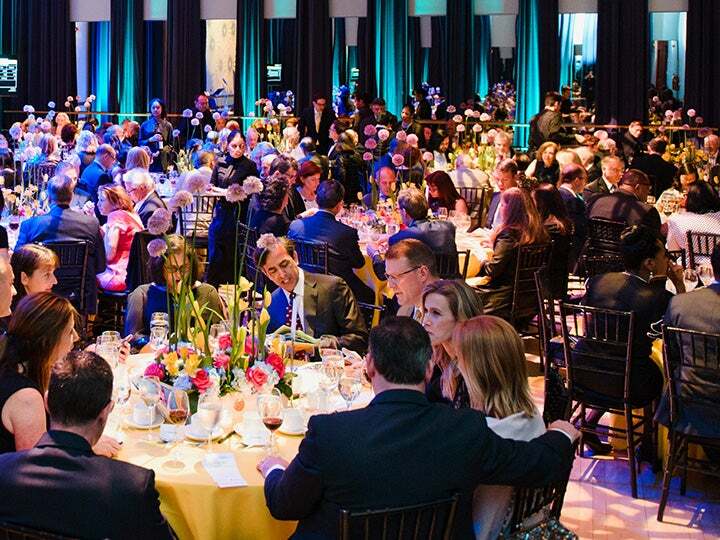 Join the New Jersey Symphony Orchestra and an array of cultural, social, business and civic leaders for an unforgettable evening of fine dining and entertainment at the Orchestra’s 11th annual Spring into Music Gala. Samaagam means “confluence”; Western and Indian musical streams merge to propel this heartfelt, emotive work. Sumptuous and brilliant; like its fabled heroine from One Thousand and One Nights, Scheherazade captivates with tales of adventure and romance. 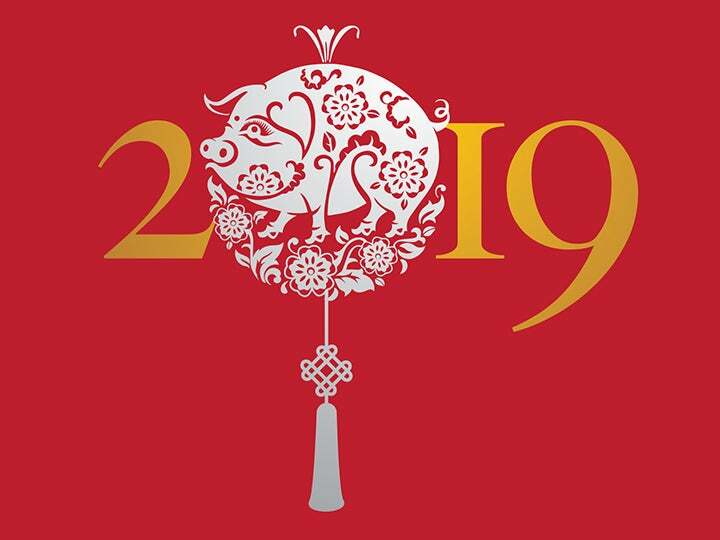 Start a new tradition at the NJSO’s first-ever Chinese New Year celebration, conducted by Xian Zhang. 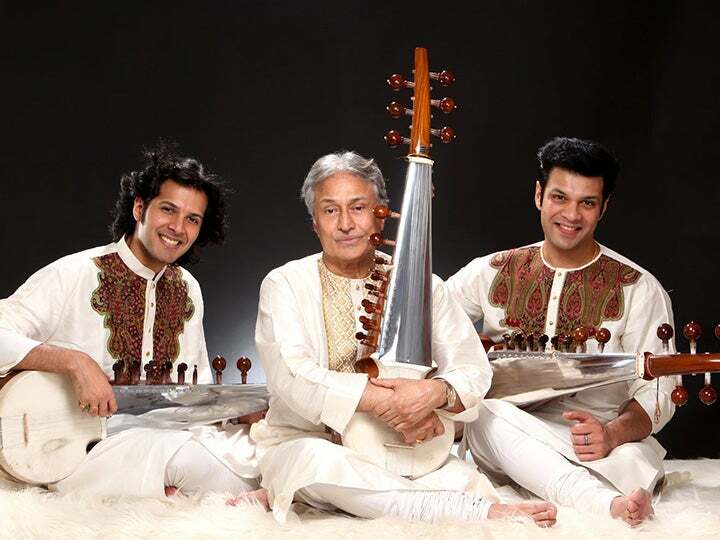 Musical riches abound in this program that blends Eastern and Western musical traditions. Li Huanzhi’s Spring Festival Overture is beloved in China yet almost reminiscent of Copland’s America. Songs and arias from opera and traditional Chinese culture show that music bridges all cultures. Beethoven’s Choral Fantasy with pianist Min Kwon brings all elements of this sumptuously crafted program together in a joyful performance. Famous for its use in the film 2001: A Space Odyssey, Strauss’ tone poem—dramatic, gorgeous, thrilling—is the kind of music musicians live to play. Colorful, lively, embodying a love story for the ages. Schumann wrote this gorgeous concerto for his wife, Clara, who played the solo part in its premiere. 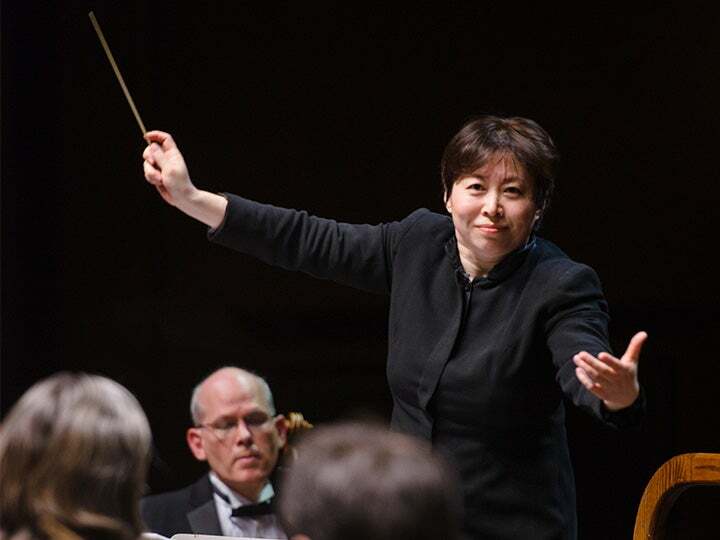 Scriabin applied his remarkable gift for orchestral color to this immersive ode to rapture, a showcase for the abundant gifts of Music Director Xian Zhang. This poignant song cycle follows the singer on a series of walks in the woods, tracing a path back to wellness as winter gives way to early spring. Ever the prolific creator, Mozart wrote three piano concertos while working on The Marriage of Figaro. No. 22’s expanded orchestra heralded a new age in symphonic writing. Gripping, one of the great program symphonies; forbidden romance is the subject of this musical tale, which follows its wizardly hero as he roams the Alps seeking transformation through forgetfulness. We all love Ludwig! 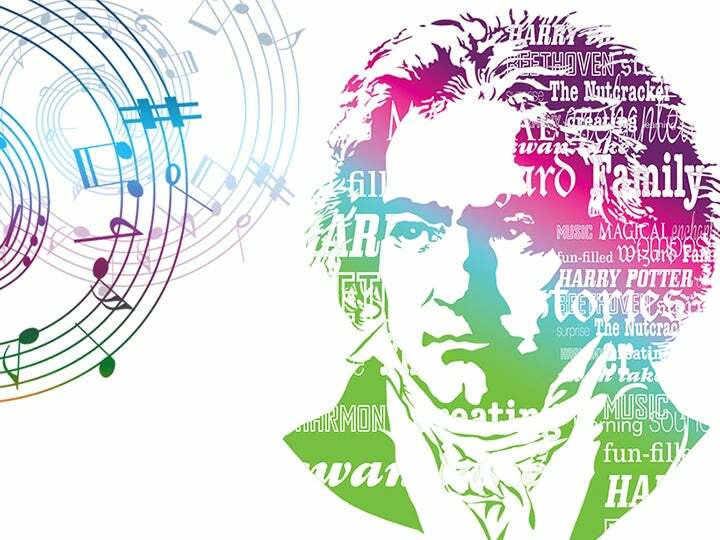 Enjoy a full concert of Beethoven’s most wonderful pieces, including excerpts from the Fifth and Seventh symphonies and some of his most exciting overtures. But even though you think you know Beethoven—surprise! What unexpected discoveries await at this boisterous, beautiful concert?! Grab your broom and get ready for the tasks ahead! 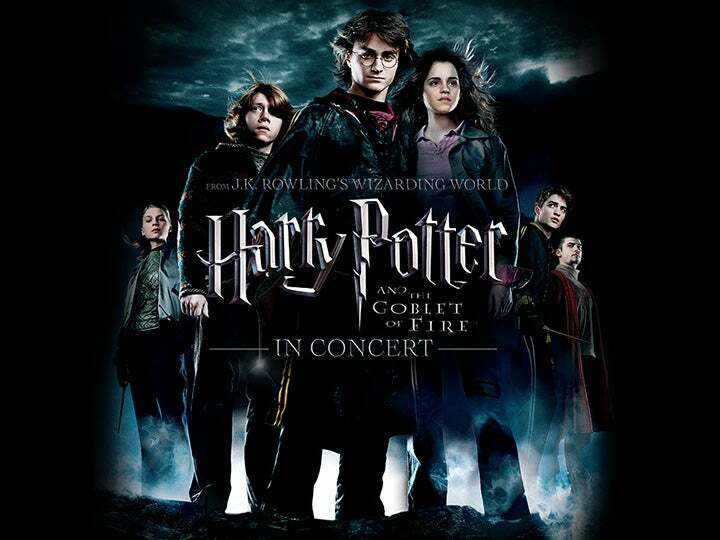 The Triwizard Tournament comes to Hogwarts™ in Harry Potter and the Goblet of Fire™ in Concert. Relive the magic of Harry Potter™ soaring across the big screen in high-definition and experience the NJSO performing Patrick Doyle’s unforgettable score live. An orchestra showpiece: Ligeti’s childhood memories of Transylvanian folk music culminate in a wild, exhilarating dance. A youthful affection inspired this concerto’s tender, passionate slow movement. Though Chopin’s infatuation was short-lived, the melody is eternal. Don’t miss Steven Spielberg’s cinematic masterpiece E.T. The Extra-Terrestrial with John Williams’ Academy Award®-winning score performed live to picture by the NJSO. Experience the magic once more! It’s a purr-fect arf-ternoon at the NJSO, when we take you on a wild and wooly concert adventure. You’ll be buzzing in delight as you listen to music inspired by the animal kingdom, featuring tunes from Tchaikovsky’s Swan Lake ballet, Stravinsky’s Firebird and more! We’re not lion—ewe’ll have a whale of a time! 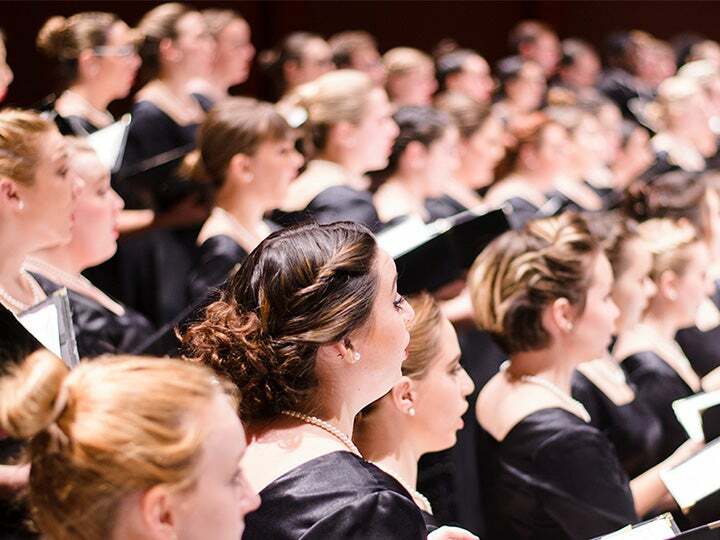 This year's biennial Archdiocesan Choral Festival features a massed choir of singers and soloists accompanied by the New Jersey Symphony Orchestra in a performance of the monumental Great Mass in C Minor by Wolfgang Amadeus Mozart. Mysteriously left unfinished by Mozart, it nonetheless reflects his genius, counting Pope Francis among its fans. Long before becoming world renowned as the iconic George Costanza on “Seinfeld,” Jason Alexander was a Tony Award-winning Broadway song-and-dance man. 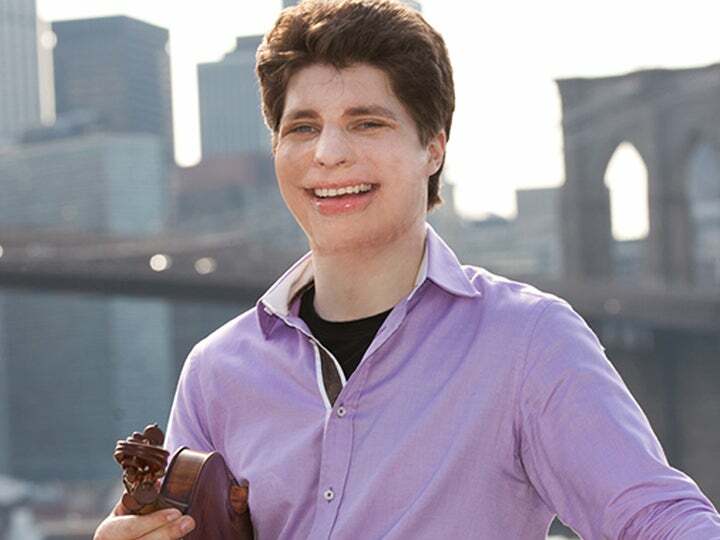 His concert with the NJSO brings a hilarious re-telling of his journey to and on the Broadway stage and features a program of great music from the theater along with comedy and audience interaction. It’s a much-heralded event of music, laughter and fun. Don’t miss the season finale concert of the NJSO Youth Orchestras, featuring the program’s four ensembles, as well as a dazzling performance by the 2018 Henry Lewis Concerto Competition winner! Honor this year’s senior class and celebrate musicianship, friendship and fun. Relive the magic of your favorite wizard in Harry Potter and the Prisoner of Azkaban™— in Concert. Based on the third installment of J.K. Rowling’s classic saga, fans of all ages can now experience the thrilling tale as Harry soars across the big screen accompanied by the music of a live symphony orchestra. From the moment Harry uses the Marauder’s Map to when the Patronus Charm bursts from his wand, you’ll be transported back into the world you love. The Mambo Kings bring some serious heat as they celebrate sizzling music of Latin America and the United States. From the sultry melancholy of Astor Piazzolla and the burning Afro Cuban rhythms of Tito Puente to the rhythmic playfulness of jazz great Dave Brubeck and the pop strains of The Beatles, the Mambo Kings take you on a Latin jazz tour that will drive you to your feet! Join the NJSO Chamber Players for an intimate deep-dive into the diverse world of immigrant and refugee composers. From the evocative colors of Tan Dun to the rhythmic and folk-oriented drive of Bartók to the glorious melodies of Dvořák’s “American” Quartet, hear how America has inspired masterpieces for the string quartet. Marina Sirtis, best known as counselor Deanna Troi on the television series “Star Trek: The Next Generation” and the four feature films that followed, hosts an out-of-this-world night of film music. Blast off to music from Star Wars, Star Trek, The Day the Earth Stood Still, Close Encounters of the Third Kind and more! Highlights the music of John Williams, Bernard Herrmann and other composers who have made great moments in science fiction come alive! Discover the talented young musicians of the NJSO Youth Orchestras. Enjoy this annual wintertime celebration featuring the four ensembles of the Youth Orchestras performing classical masterworks and some festive surprises. Blast off with a concert-going experience of astronomical proportions! Hear music inspired by the far reaches of space, including Holst’s The Planets, the otherworldly main theme from Star Trek and more. Your little astronauts can reach for the stars and dream their own dreams. Cars fly, trees fight back and monsters are on the loose in Harry’s second year at Hogwarts™ School of Witchcraft and Wizardry! This concert features the film Harry Potter and the Chamber of Secrets™ in high-definition, on a giant screen, while the New Jersey Symphony Orchestra performs John Williams’ unforgettable score. Relive every magical moment as the music brings life to a story that has enchanted the world. Bugs Bunny is back and better than ever! Celebrate Looney Tunes and its legendary stars, including Daffy Duck, Elmer Fudd, Sylvester, Wile E. Coyote, Road Runner and, of course, our very favorite “wascally wabbit.” Enjoy classics including Long-Haired Hare (in its first East Coast concert appearance on the big screen), What’s Opera, Doc? and Baton Bunny, alongside new Warner Bros. 3D theatrical shorts Coyote Falls and Rabid Rider. Kids of all ages will enjoy hearing the extraordinary musical scores performed live and perfectly in-sync with all the on-screen action. Don't miss the season finale concert of the NJSO Youth Orchestras, featuring the program's four ensembles, as well as a dazzling performance by the 2017 Henry Lewis Concerto Competition winner! Say farewell to graduating seniors and celebrate a year full of musicianship, friendship and fun. From “Love is Here to Stay” to “Just One of Those Things” and highlights from Gershwin’s Porgy and Bess, Byron Stripling and Marva Hicks recreate one of the most memorable collaborations in music history while capturing everyone’s hearts along the way. The Harry Potter™ film series is one of those once-in-a-lifetime cultural phenomena that continues to delight millions of fans around the world. This concert will feature the New Jersey Symphony Orchestra performing every note from Harry Potter and the Sorcerer’s Stone™. 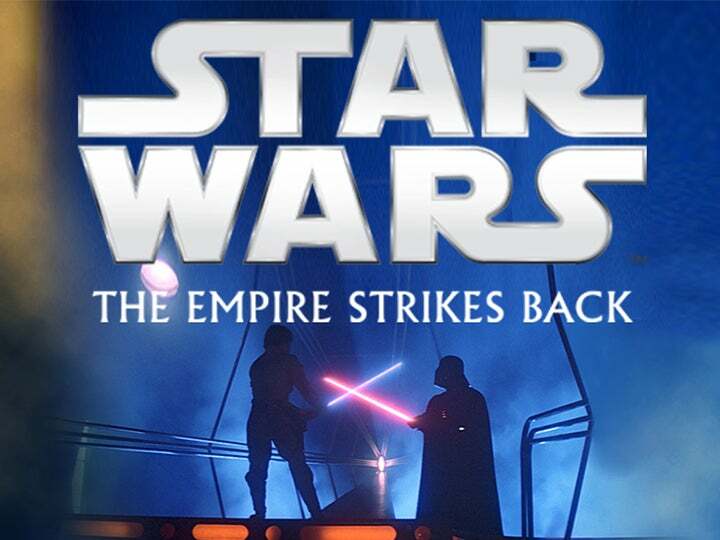 Audiences will be able to relive the magic of the film in high-definition on a giant screen while hearing the Orchestra perform John Williams’ unforgettable score. The Irish Tenors' powerful vocal line-up of Finbar Wright, Anthony Kearns and Ronan Tynan is unquestionably the leading brand of this genre. All classically trained singers, each having performed in leading concert halls across the world, together they combine to produce a sound and concert experience which touches hearts and stirs the emotions. 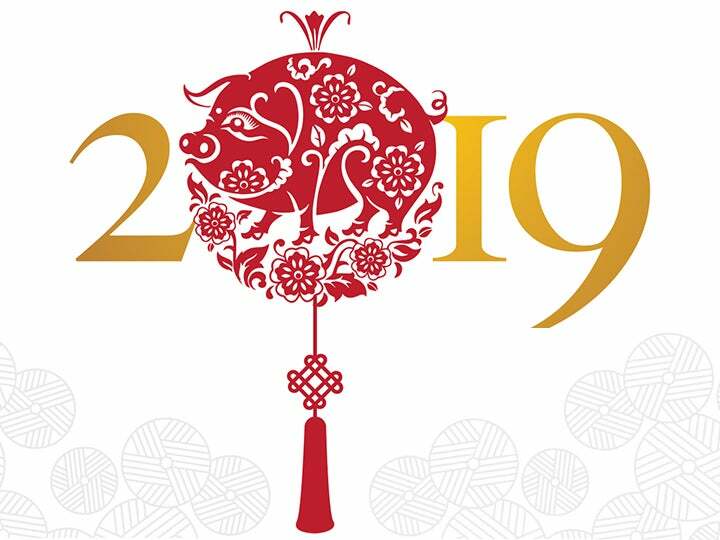 Happy songs of celebration and humor, mixed with touching melodies and songs that warm the heart. Introduce your family to all the characters of Prokofiev’s classic tale! The duck, bird, cat, wolf, hunters, Peter and his Grandfather are each represented by a specific theme and instrument, making this a wonderful introduction to the instruments of the orchestra, as well as a charming story. The timeless elegance and romance of the golden age of Hollywood musicals—revived by the Golden Globe-winning new film La La Land—will sweep you off your feet with song and dance standards inspired by Fred Astaire, Ginger Rogers, Gene Kelly and “the queen of tap dancing” herself, Eleanor Powell. You’ll be dancing cheek to cheek by the time the concert is over! Pinchas Zukerman invites you to join him and the NJSO Chamber Players for this exclusive benefit event. Experience Zukerman in an up-close-and-personal chamber performance and reception with a meet and greet opportunity. Indiana Jones is heading for New Jersey in January with his whip, his hat and a live orchestra! John Williams’ epic score—performed live by the NJSO—enhances the on-screen action as Indy (Harrison Ford) goes on a quest to recover the legendary Ark of the Covenant and save the world in this timeless classic from Steven Spielberg. When the curtain rises on New Jersey Ballet’s sensational Nutcracker, audiences at the production’s home at the Mayo Performing Arts Center can expect the eye-popping special effects, brilliant dancing, glorious costumes and the magic and pantomime that have inspired critics to call it “A spectacle that never seems to age … magic that should go on and on,” and “One of the best … as good as it gets.” The Nutcracker at MPAC will feature the New Jersey Symphony Orchestra under the baton of Gary S. Fagin. Discover the talented young musicians of the NJSO Youth Orchestras. 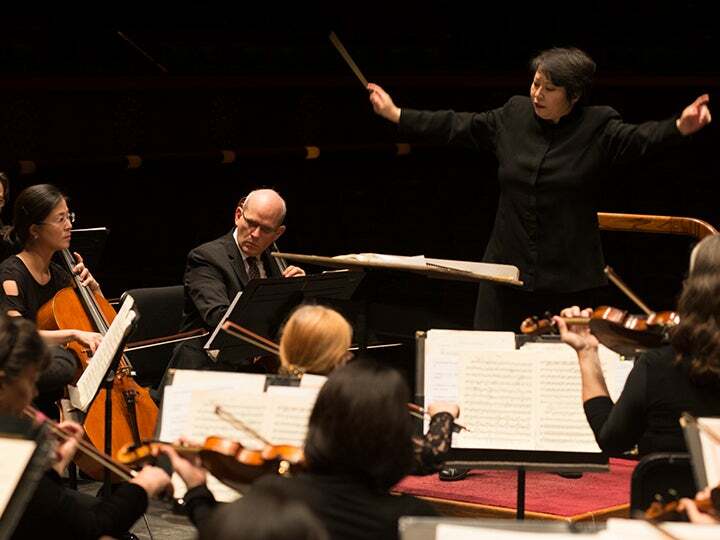 Enjoy performances by the four ensembles of the program—the Training Ensemble, String Ensemble, Chamber Orchestra and Academy Orchestra—who are coached by a dedicated cadre of players from the NJSO. Ahoy, matey! Take a swashbuckling, pirate-filled sea-faring odyssey as we explore music from the blockbuster film Pirates of the Caribbean, Rimsky-Korsakov’s Scheherazade and Richard Rodgers’ Victory at Sea! From classic Elton John hits “Tiny Dancer,” “Bennie and the Jets” and “Rocket Man” to classic rock favorites like “Live and Let Die” and “Pinball Wizard,” Broadway star Michael Cavanaugh entertains with a high-energy show that will have you singing along! Join the NJSO in welcoming summer at an exclusive wine tasting on the picturesque grounds of Locust Hill Vineyard. Overlooking the Navesink River, Locust Hill offers an unmatched setting for what will be an amazing event. The big game is on—meet all the teams of the Orchestra and cheer on your favorite! Will it be the strings, brass, woodwinds or percussion that win the day? “Take Me Out to the Ballgame,” Olympic fanfares and classics from Mozart and Rimsky-Korsakov will make it feel like you and the kids are sitting on the third-base line with a hot dog and a soda. The music is Bond, James Bond, as the NJSO takes you into the world of your favorite spy. The legacy of 007 comes alive in a symphonic tribute featuring music from five decades of Bond films, including Casino Royale, Goldfinger, Diamonds are Forever and more. Sit closer than ever before! 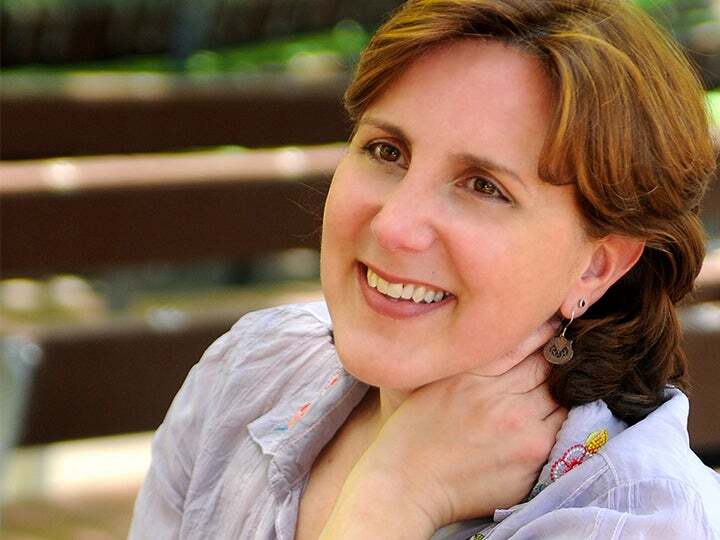 NJSO Family concerts are now in the Victoria Theater at NJPAC. The big game is on—meet all the teams of the Orchestra and cheer on your favorite! Will it be the strings, brass, woodwinds or percussion that win the day? “Take Me Out to the Ballgame,” Olympic fanfares and classics from Mozart and Rimsky-Korsakov will make it feel like you and the kids are sitting on the third-base line with a hot dog and a soda. 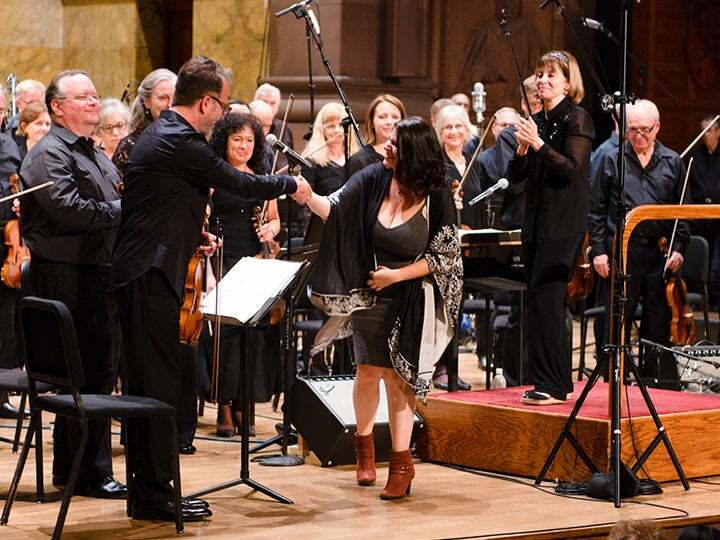 Experience Puccini's playful music in the fifth-largest cathedral in North America—the stunning Cathedral Basilica of the Sacred Heart in Newark. This all-Puccini program features The Chrysanthemums, a delightful piece for strings, and The Archdiocesan Festival and Cathedral Choirs singing Messa di Gloria accompanied by the New Jersey Symphony Orchestra. For the first time, hundreds of students in these youth orchestra and symphonic band programs share the stage for the concert of a lifetime! Inspired by the NJSO Youth Orchestras 25th anniversary season, this concert celebrates talent from some of New Jersey's best young symphonic musicians. Be inspired by the future of music and audiences with this dazzling performance. You know him as Porgy from the recent Broadway smash production of Porgy and Bess, the first African-American Phantom in The Phantom of the Opera and as Javert in the popular PBS special Les Misérables: The 25th Anniversary Concert. Norm Lewis, the phenomenal star who brought these roles to life, takes center stage with the NJSO in a concert filled with favorites from Broadway and beyond. Sit closer than ever before! NJSO Family concerts are now in the Victoria Theater at NJPAC. Before there were movies and TV shows, there were orchestra concerts, and composers were the biggest stars of the day. Stroll down the NJSO’s Composer Walk of Fame and hear John Williams’ Star Wars and the very best music from Beethoven, Mozart and Tchaikovsky. Celebrate Valentine’s Day with Megan Hilty, known for starring roles in “Smash,” Wicked and 9 to 5: The Musical. Called a “burgeoning blonde bombshell” by The Daily Beast, Hilty’s sensational voice and star power are perfect for a trip through the American Songbook. Discover the talented young musicians of the NJSO’s Youth Orchestra Program. Enjoy performances by the three ensembles of the program—the Violin Ensemble, the Chamber Orchestra and the Academy Orchestra—who are coached by a dedicated cadre of players from the NJSO. Hear masterworks and favorites such as Dvorak’s Symphony No. 9, Tchaikovsky’s Serenade for Strings and Telemann’s Concerto for Four Violins. When the curtain rises on New Jersey Ballet’s sensational Nutcracker, audiences at the production’s home at the Mayo Performing Arts Center can expect the eye-popping special effects, brilliant dancing, glorious costumes and the magic and pantomime that have inspired critics to call it “A spectacle that never seems to age … magic that should go on and on,” and “One of the best … as good as it gets.” New this year, the Nutcracker at MPAC will feature the New Jersey Symphony Orchestra under the baton of Gary S. Fagin. 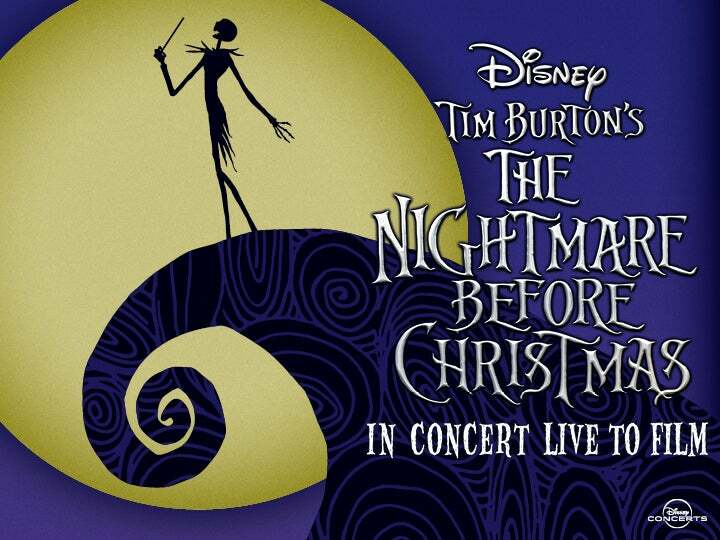 A true holiday favorite, this rollicking comedy classic features legendary composer John Williams’ charming and delightful score, performed live by the NJSO. Watch as Macaulay Culkin stars as Kevin McCallister, an 8-year-old boy who is accidentally left behind when his family leaves for Christmas vacation and must defend his home against two bungling thieves. It’s hard to believe this hilarious and heartwarming holiday romp is 25 years old! Sit closer than ever before! NJSO Family concerts are now in the Victoria Theater at NJPAC. Winter, spring, summer or fall, there’s always music in the forecast! Hear how composers depict weather and seasons like the lazy heat of summer, a spring storm or a snowy day. Favorites from Gershwin, Beethoven, Copland and more set the stage for a thunderously good time! Enjoy a classical music experience for children aged 3–12 that encourages all the chatter, questions, dancing and imagination your child can muster! Meet players from the brass, string and wind sections of the New Jersey Symphony Orchestra and learn all about the crazy and contrasting sounds instruments can make! Arrive early for a pre-concert instrument petting zoo, arts activities and more! Back by popular demand! NJSO Associate Conductor Gemma New conducts as these exceptional artists—acrobats, aerial flyers, contortionists and strongmen—perform dazzling and death-defying choreography and acrobatic feats to classical favorites that will thrill audiences of all ages. Power up your DeLorean … recharge your flux capacitor … and get ready to celebrate the 30th anniversary of an unforgettable movie classic as you’ve never seen and heard it before! Back to the Future, starring Michael J. Fox, Christopher Lloyd, Lea Thompson and Crispin Glover, is the 1.21-gigawatt blockbuster that topped the 1985 box office chart, spawned two wildly successful sequels and stamped an enduring imprint on pop culture. Fans old and new will experience the thrill of Back to the Future like never before—on a big hi-def screen with a full symphony orchestra performing Alan Silvestri’s dazzling musical score live in sync with the movie. A brass quintet featuring some of the state’s finest musicians entertains local residents in Jersey City’s beautiful Hamilton Park. Join the NJSO for the world premieres of four dynamic works by the composers of the NJSO Edward T. Cone Composition Institute, a multi-faceted program that promotes new music and emerging composers. The composers will briefly describe their pieces in a concert that will show the vibrant future of orchestral music. Enjoy a brass ensemble featuring some of the state’s finest musicians at Library Park in Plainfield. In this program, the NJSO Chamber Players will explore the important role that brass instruments have played in the music of many different cultures. Musical selections will include well-known works such as Hava Nagila, Sousa's Washington Post March and Shepherd's Hey. Celebrate Hispanic cultures with this bilingual program devoted to the music of some of Latin America’s most distinguished composers. Pioneering Latin American composers produced a rich legacy of music in the 19th and early 20th centuries that combined western classical traditions with indigenous folk songs and rhythms, creating distinct national styles in countries such as Argentina, Cuba and Mexico and inspiring future generations of musicians. Relax with friends and family and enjoy an evening listening to the NJSO at the Michael T. Lake PAC in Neptune. Hear classical dances from Mozart, Tchaikovsky and Brahms in the first half. Then, rev up for a lively second half when the NJSO plays tunes from swing, Latin, pop and a whole lot more. Bring the kids—and by all means, bring your dancing shoes! Raise a glass in support of the NJSO and sample a variety of artisanal New Jersey wines on the picturesque grounds of Locust Hill Vineyard. Enjoy light refreshments and a performance by the NJSO Chamber Players. 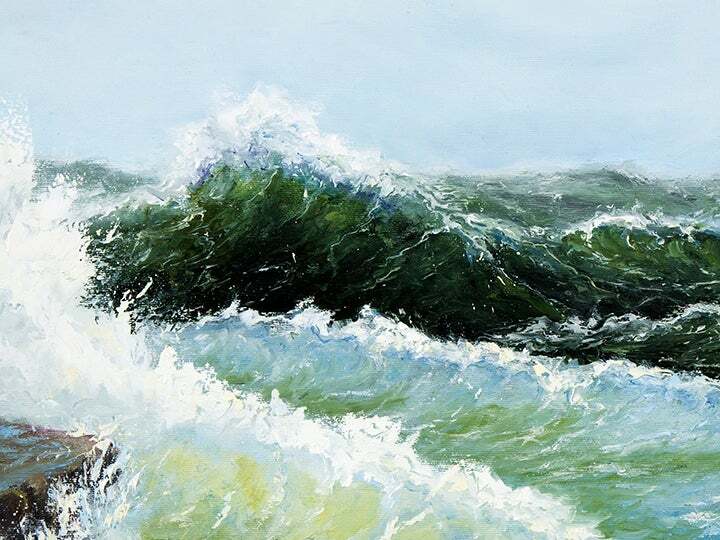 Proceeds will benefit the artistic and educational programs of the New Jersey Symphony Orchestra. This special arrangement of Prokofiev’s classic tale features the instruments of the woodwind family, combining the same great imagery with a focus on the flute, oboe, clarinet, bassoon and French horn. With the help of some other selections highlighting each instrument’s diverse capabilities, the quintet demonstrates not only how well the instruments play together, but also what makes them each unique. A string quartet featuring some of the state’s finest musicians return to the Cape May Music Festival with a program of classics from the chamber repertoire. Who are your heroes? They can be anyone from firefighters to the president, from parents to a friend who stands up to a bully. How would music about heroes sound? Imagine your own as you listen to pieces inspired by famous heroes in Copland’s Fanfare for the Common Man, Verdi’s Nabucco Overture and Beethoven’s “Eroica” Symphony. 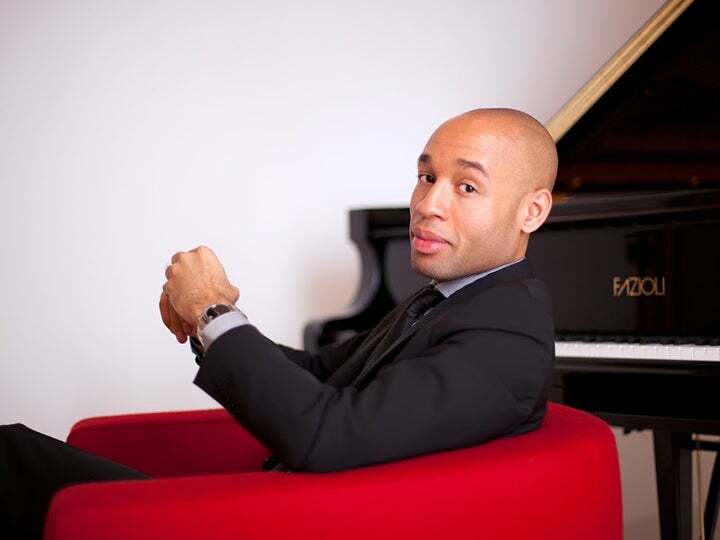 Hailed by The New York Times as one of “Broadway’s electric conductors,” Todd Ellison leads a sizzling program of spectacular favorites you know and love from such Broadway hits as American in Paris (where Ellison is the current Music Supervisor! ), Carousel, Monty Python’s Spamalot, Shrek the Musical and 42nd Street. 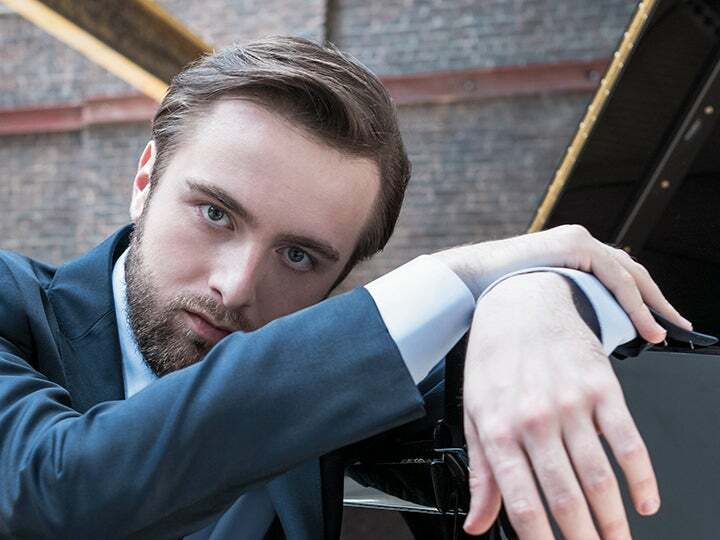 Three of the hottest talents on the stage today join Ellison and the NJSO for a sparkling program of showtunes, for a concert that you will not want to miss. Relive the fabulous Motown sound in a high energy tribute to a classic American sound. Remember the magic of The Four Tops, The Temptations, Smokey Robinson, The Drifters, The Miracles and other R&B sensations and sing along to timeless tunes such as “Just My Imagination,” “My Girl” and “The Way You Do the Things You Do.” Join Spectrum and the NJSO on this sensational tour through the heart of Motown. A symphony experience for children aged 3–12 that encourages all the chatter, questions, dancing and imagination your child can muster! Just as authors use words, composers use music to tell stories about grand adventures, falling in love, epic battles and so much more, helping to create magical worlds in our imaginations. What stories do you hear in Tchaikovsky’s Romeo and Juliet, Bernstein’s West Side Story and music from Harry Potter? From the iconic, puddle-jumping “Singin’ in the Rain” scene to the crisp rendition of “Good Morning” and the tender moments of “You Were Meant for Me,” Gene Kelly, Donald O’Connor and Debbie Reynolds sang and danced their way right to the top of the American Film Institute’s list of greatest movie musicals. 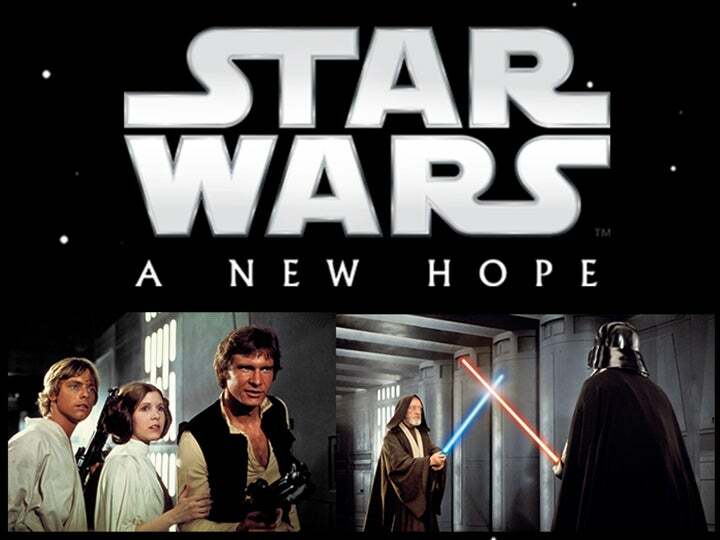 The NJSO brings the film’s beloved soundtrack to life while the remastered film is shown with the original dialogue and vocals intact. Just as authors use words, composers use music to tell stories about grand adventures, falling in love, epic battles and so much more, helping to create magical worlds in our imaginations. What stories do you hear in Tchaikovsky’s Romeo and Juliet, Bernstein’s West Side Story and music from Harry Potter? A classical music experience for children aged 3–12 that encourages all the chatter, questions, dancing and imagination you rchild can muster! Brass, string and wind ensembles perform great works like Peter and the Wolf, which has introduced generations of children to the world of classical music. Arrive early for a pre-concert instrument petting zoo, arts activities and more! The best holiday celebration of the season! 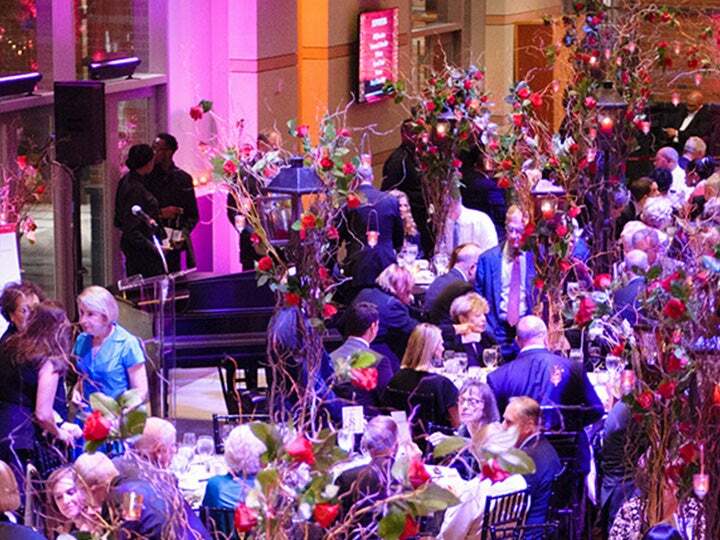 Enjoy New Jersey’s best celebration of the season with your NJSO and friends! The syncopated sounds of 10-time Grammy Award-winning ensemble Take 6 will fill you with holiday spirit! This sensational sextet infuses R&B, pop, gospel and more into joyful, groovin’ entertainment, with a program that includes their unique take on seasonal favorites including “Joy to the World” and “Hark! The Herald Angels Sing.” Come early and enjoy caroling in the lobby, and bring a new, unwrapped toy to donate to Toys for Tots. Discover the talented young musicians of the NJSO’s Youth Orchestra Program. Hear masterworks and favorites such as Bach’s Concerto for Two Violins, Bartók’s Romanian Folk Dances, “Harry’s Wondrous World” by John Williams … and some holiday surprises! Join forces with Maestro Jeff and race through history to stop a clever time traveler! Power up the time machine to keep the time traveler from permanently changing music from Beethoven’s Fifth Symphony, Rossini’s William Tell Overture and Dvořák’s “New World” Symphony! Four world premieres in one night! The NJSO gives the world premieres of works by the composers of the NJSO Edward T. Cone Composition Institute, a multi-faceted program that promotes new music and emerging composers. 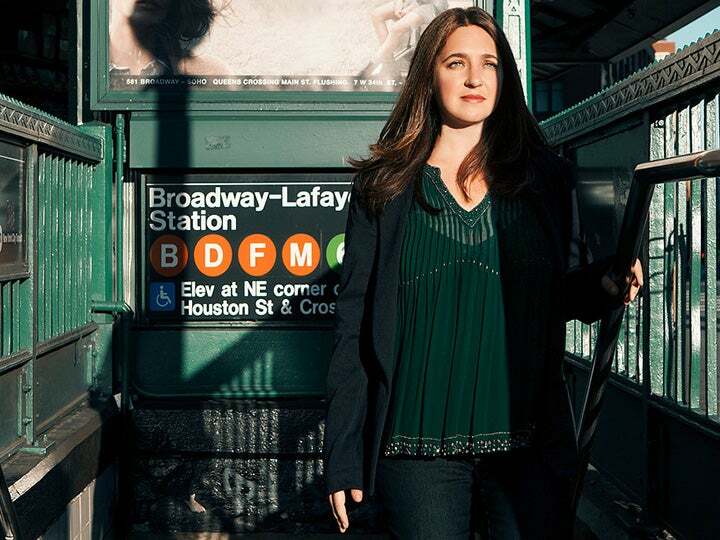 Four exciting composers offer dynamic new works; fresh from an intensive experience evolving their compositions through working sessions with the professional musicians of the NJSO, these composers realize the possibilities of a living art form. Each composer will briefly describe their piece in a concert that will illuminate their creative thought process. 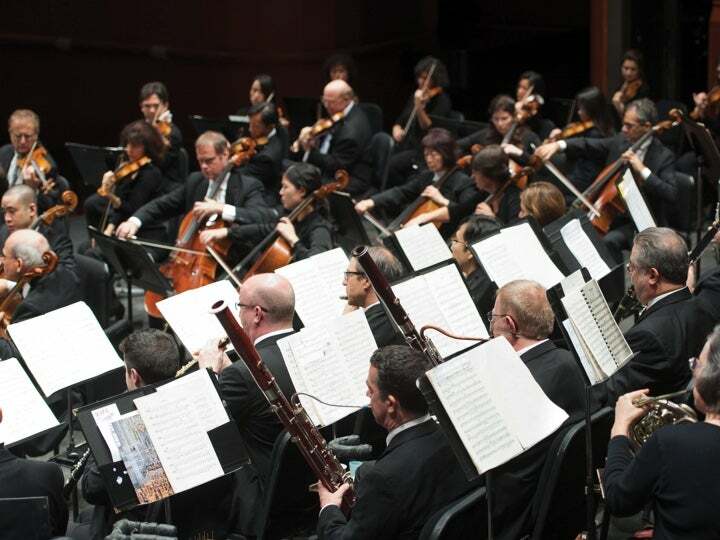 A unique journey of discovery awaits listeners as the NJSO presents a special event focused on the legacy of composer Edward T. Cone, and featuring the world premiere of his Symphony. Attention piano lovers! 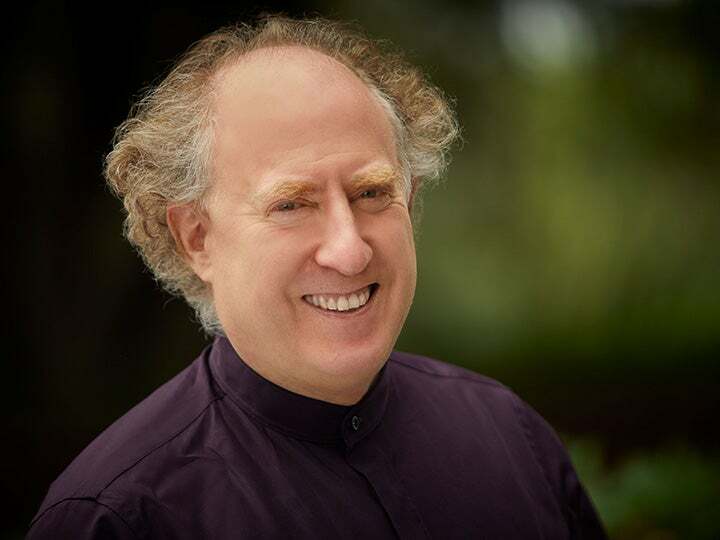 The Golandsky Institute International Piano Festival at Princeton University presents four piano concertos in one evening, with the New Jersey Symphony Chamber Orchestra conducted by Mark Laycock. Internationally acclaimed Russian-born master Ilya Itin solos in music of Mozart and Shostakovich, Bach expert Fr. 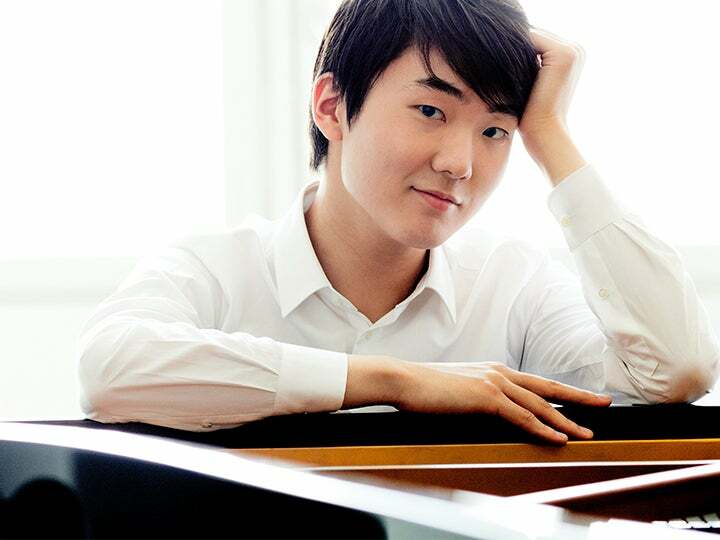 Sean Duggan plays Bach's Keyboard Concerto in E Major and young artists of the Golandsky Institute join them for a rarely heard performance of Bach’s Concerto for Four Pianos. Dazzling. Thrilling. Death defying. Delicate. Awe inspiring. A troupe of exceptional artists—aerial flyers, acrobats, contortionists, dancers, jugglers and strongmen—joins your NJSO for what Review Vancouver has called “truly amazing choreography and acrobatic feats performed in perfect timing" to classical favorites such as Bizet’s Carmen, Tchaikovsky’s Swan Lake, Mendelssohn’s “Italian” Symphony, Khachaturian’s Masquerade Suite, Kabalevsky’s The Comedians and John Williams’ score from Superman. Tweet, crash, oomph, plink, warble, pluck … Meet each instrument of the orchestra in turn through Britten’s delightful Young Person’s Guide to the Orchestra. Don’t be fooled by the title—kids and grownups alike will be enthralled by it. Explore all the different sounds that an orchestra can make and cheer on your favorite instrument family! Wear blue for strings, red for woodwinds, yellow for brass or green for percussion. From beloved favorites including Brahms’ Hungarian Dance No. 6 to the bursting energy of Leonard Bernstein’s Fancy Free and the danceable melodies of Tchaikovsky’s Serenade for Strings, this program brings the excitement and beauty of ballet music into the concert hall. Dancers from the Joffrey Ballet Concert Group join the NJSO as the rich sounds of the Orchestra create a magical landscape for the imagination to dance. Experience the powerful choral music of Bruckner in the fifth-largest cathedral in North America—the stunning Cathedral Basilica of the Sacred Heart in Newark. This all-Bruckner program features The Archdiocesan Festival and Cathedral Choirs singing Te Deum, along with other Bruckner choral works. Experience the artistry of the NJSO’s youth ensembles! Program includes Dvořák’s Symphony No. 8, Grieg’s Holberg Suite and Kristin Hauge’s “Rondo,” a new composition written for the Greater Newark Violin Ensemble. The concert will also showcase the 2014 Concerto Competition winner, violinist Rachel Seo, performing the first movement of Lalo’s Symphonie espagnole. Seventy five years after The Wizard of Oz debuted on the big screen, watch it again in all its glory, accompanied by your NJSO performing the Harold Arlen score. “Follow the Yellow Brick Road” with the incomparable Judy Garland as Dorothy and lovable Bert Lahr as the Cowardly Lion—you can even dress up as your favorite character and win a prize! Beethoven’s gorgeous Sixth Symphony—known as the “Pastoral”—celebrates the sounds of spring and highlights the talented performers of the Orchestra. Pianist Gleb Ivanov shows off his dazzling technique in Rachmaninoff’s Piano Concerto No. 3. 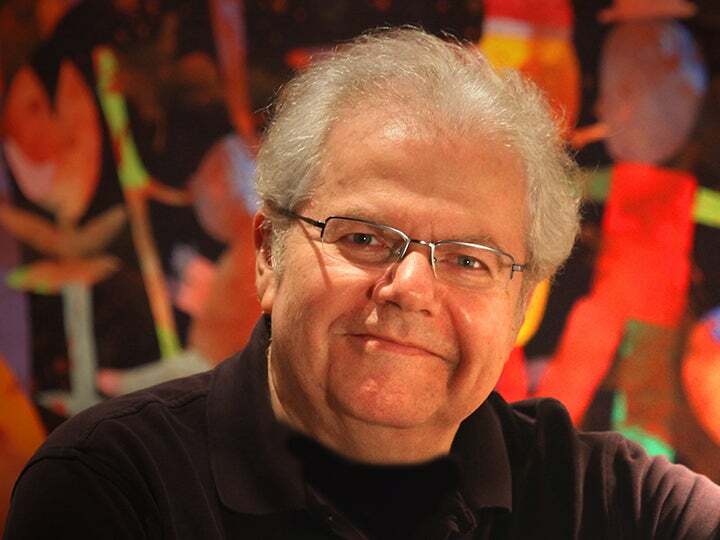 Mark Laycock, former NJSO Associate Conductor and frequent collaborator, leads the Orchestra in this wonderful celebration. The Music of Led Zeppelin is a genre-busting event that bridges the gulf between rock-and-roll and classical music. Created by arranger-conductor Brent Havens, this electrifying concert of symphonic rock features 18 of the Zeppelin’s greatest hits, including “Stairway to Heaven,” “Heartbreaker,” “Black Dog” and many more—all performed as close as possible to the original recordings, but wrapped in a lush blanket of orchestral sound. This tribute to the 50th anniversary of The Beatles’ appearance on “The Ed Sullivan Show” is jam packed with your favorite tunes—sung, played and performed exactly as they were recorded. From the early hits through the solo years, relive the best of The Beatles with “Penny Lane,” “Yesterday,” “I Am the Walrus,” “Eleanor Rigby,” “With a Little Help From My Friends” and so much more, all backed by the rich sounds of the NJSO. Grab your musical passport for an exciting journey through the Americas. From the iconic sounds of Copland’s “Simple Gifts” and Gershwin’s Rhapsody in Blue to the whirling dances of Argentina and Mexico, everyone in the family will enjoy this musical tour. Support talented young musicians and enjoy live performances of works by Bach, Elgar, Rossini, Mussorgsky and more! Join us for pre-concert refreshments starting at 3 pm. Click here to learn more about the Greater Newark Youth Orchestras. NJSO CHAMPS (Character, Achievement and Music Project) is an innovative education program inspired by the El Sistema music education and social development program in Venezuela, in partnership with the University Heights Charter School in Newark. Click here to learn more about CHAMPS. All of your little astronauts will enjoy exploring music inspired by the infinite reaches of the galaxy! With music from Holst’s The Planets, Strauss’ dramatic Also Sprach Zarathustra (known to parents and grandparents as the theme from 2001: A Space Odyssey) and the themes from Star Wars and Star Trek, we’ll travel through space and reach for our dreams. Legendary singers Frank Sinatra Jr. and Steve Tyrell bring you dozens of Sinatra’s chart toppers, including “All the Way,” “My Kind of Town,” “Three Coins in the Fountain,” “Time After Time,” “Call Me Irresponsible,” “Bei mir bist du schoen” and “High Hopes”—all penned by the incomparable lyricist Sammy Cahn. This swinging tribute—marking the 100th anniversary of the songwriter’s birth—will transport you to the days when the Rat Pack ruled Vegas. Natalie Merchant began her musical career as the lead vocalist and lyricist of the pop music band 10,000 Maniacs. During her 30-year career, she has earned a distinguished place among America's most respected recording artists, with a reputation for being a prolific songwriter with a compelling artistic vision and a unique and captivating performance style. Celebrate the 25th anniversary of this high-action video game at a multimedia presentation of live symphonic concert, chorus and cinematic video. The Legend of Zelda: Symphony of the Goddesses syncs original music and images from the successful media franchise into a dynamic performance featuring a four-movement symphony played by the New Jersey Symphony Orchestra. Fans can relive their favorite moments through the adventurous music of Nintendo composer and sound director Koji Kondo (Super Mario Bros.). Patti LuPone, two-time Tony Award-winner and star of Gypsy, has been called “the American musical theatre’s greatest living star.” Don’t miss hearing songs from the legendary diva’s latest album, “Far Away Places,” backed for the very first time by full orchestra..
Take a trip around the world—no luggage required! 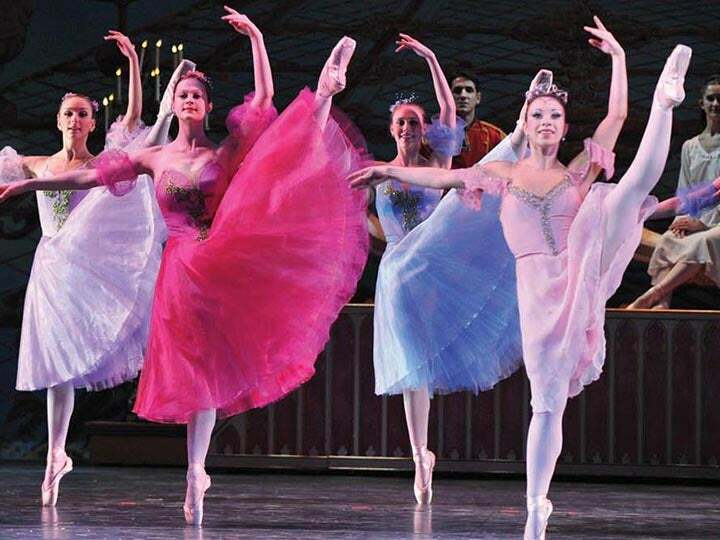 Express yourself with Scottish, Spanish, Arabian, Chinese, Czech and American dances, including selections from The Nutcracker, West Side Story and Morton Gould’s Tap Dance Concerto. This concert also features the winning pieces from the first NJSO Young Composers Project. Sarah Chang, one of the world’s top violinists, brings warmth and color to Bruch’s Violin Concerto, a repertoire favorite. Bruckner drew on his lifelong admiration of Wagner in the epic journey that is his Symphony No. 4. ’S WONDERFUL! ’S MARVELOUS! GERSHWIN! George Gershwin’s incredible melodies filled the concert halls and Broadway stages. Experience all your favorites, including An American in Paris, selections from Porgy and Bess, Girl Crazy, Embraceable You, Someone to Watch Over Me, ’S Wonderful and much, much more. "Of all the gin joints, in all the towns, in all the world, she walks into mine." Walk into ours and see Casablanca on the big screen, with live orchestral accompaniment. Cozy up with a loved one as you savor the beautiful visuals, relive the story of Rick and Ilsa's love and experience this classic film. Broadway, cabaret and film sensation Ann Hampton Callaway takes center stage with the perfect cocktail of holiday melodies and timeless classics, including Carol of the Bells, Winter Wonderland, Have Yourself a Merry Little Christmas, My Favorite Things and many more.